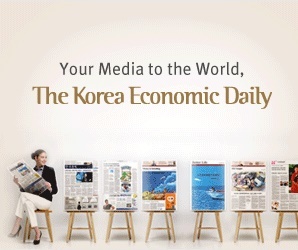 PGIM Inc. a unit of U.S. Prudential Financial Inc., will acquire an office building in central Seoul for 184 billion won ($157 million) from a South Korean asset manager, in a deal seen as a bargain amid caution about oversupplies and high vacancy rates of commercial properties in the capital of South Korea. The investment company of the U.S. financial group is known to execute part of its value-add capital for the acquisition, and aims to renovate the office building to lift its asset value. It will finance about 40% of the cost through an equity investment and borrow the remainder from financial institutions, according to investment banking sources on Dec. 2. PGIM is set to sign an agreement on Dec. 2 on the purchase of the 28-story tower, which covers a floor area of 41,598 square meters with six underground floors. The building, T Tower, is located near the Seoul Railway Station and a big traditional shopping mall, an area seen as old and less developed than other business districts in Seoul. Payment is due by next month. The property had been used as the head office of LG Uplus Corp. until the mobile service unit of the LG Group moved to other location in April 2015. Since LG Uplus moved out, most of the office space had been empty. The high vacancy rate was a big hurdle to landlord Midas Asset Management Co. Ltd.’s exit from the property within the eight-year maturity of its investment fund. Its vacancy rate has recently dropped to a 50% level, after Philips and Korea Housing & Urban Guarantee Corporation moved in. PGIM will pay 14.6 million won ($12,481) per 3.3 square meters for the building, below the average price for nearby office buildings which is quoted between the upper end of the 10 million won range and the lower end of the 20 million won range for the equivalent area. The acquisition price of 184 billion won in total is a slight increase of Midas Asset’s payment of about 163 billion won made in 2006. Because of low rental fees of office buildings near Seoul Railway Station compared with other office areas in the city, state-run agencies and state-controlled companies, which have recently moved outside of Seoul, show interest in leasing buildings close to the railway station for Seoul offices. The vacancy rates of large office buildings near the Seoul station average over 50%, so landlords are attracting tenants by offering tenant improvements such as a rent-free period for a first few months and supporting moving expenses. South Korea’s IGIS Asset Management Co. Ltd. will manage the fund investing in the property.